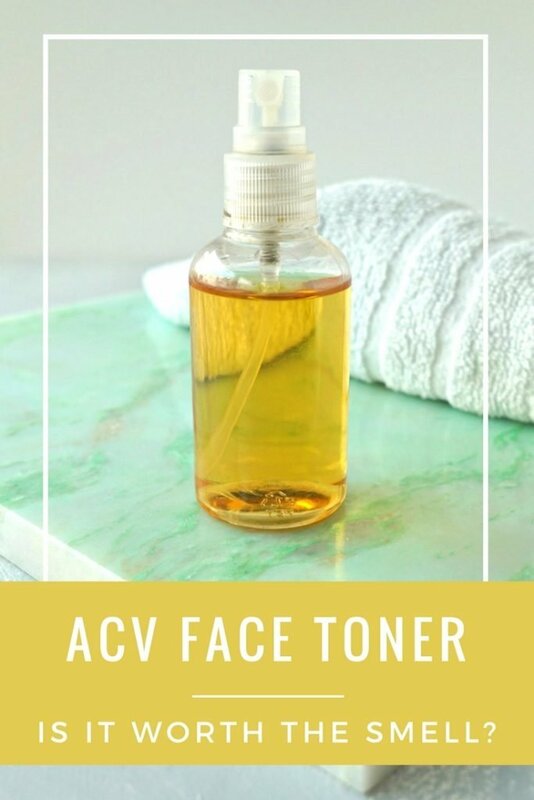 DIY ACV Face toner – Is it worth the smell? 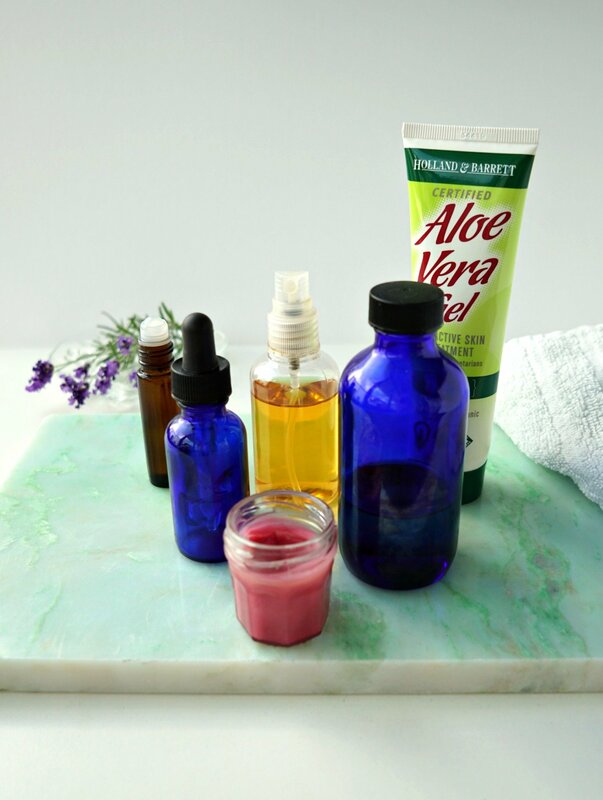 It’s the ultimate DIY Beauty Hack: take something you already have (preferably from your kitchen), add an equally easily accesible ingredient, and you have skin care magic. One of those magic DIY ingredients is Apple Cider Vinegar. 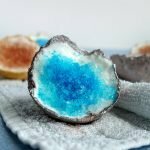 It’s used in lots of different DIY Tricks for common beauty problems: from shining up your hair to treating those chicken bumps on your arms. I’ve been wanting to use this magic potion for a while now. And when I was looking for a new face toner, I saw an opportunity. I’ve tried every single natural toner out there: from rose water to chamomile water, orange blossom water and even corn flower water. I love most of them, but now I noticed it was time for something new. My skin has been breaking out A LOT lately. I blame most of it on the stress and anxiety I’ve been going through lately. Add a lack of sleep to that (because of my anxiety) and an irregular skin care routine (because of my lack of sleep), my skin has been showing the signs of my stress levels lately. I’ve come across apple cider vinegar (ACV for the DIY Beauty Savvy) as a treatment for acne prone skin many times before and now I finally decided to try it out myself. The classic ratio for a DIY Face toner with ACV is 1/2 part apple cider vinegar and 1/2 part (filtered) water. 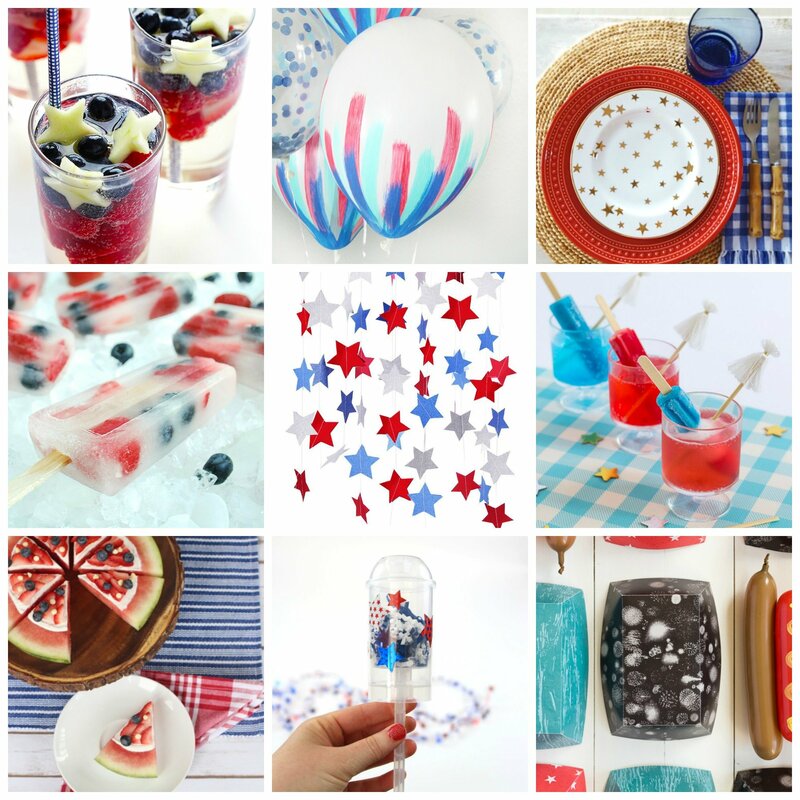 More is definitely not better in this recipe. If you’re unsure about using this amount of ACV, you can use a ratio along the lines of 1/4 ACV and 3/4 water instead. For this recipe you have to use pure apple cider vinegar and I also highly recommend organic. In a spraying bottle I poured pure apple cider vinegar until it was about halfway full. Next I filled the bottle with water until it was completely full. After I cleansed my skin with micelar water, I sprayed a cotton pad with the ACV mixture until it was soaked. Then I swiped my face and neck with the cotton pad. FYI, avoid your eyes and eye area at all cost when you’re using this toner. This stuff stings! The toner stung a little on my skin too. I’m not sure whether that means I used too much ACV or if that just means it’s working. That said, I immediately fell in love with the result! I’ve been using the ACV toner almost every night for about 2 weeks since and it’s now worked its way into my beauty routine! My skin felt squeaky clean even after the first time I used the ACV face toner. The toner also seems to balance my skin: it doesn’t feel dry or oily after I use it, just…normal. That’s because diluted apple cider vinegar is said to balance the pH levels of your skin. It haven’t noticed that the toner dries out my acne, but after using it a couple of nights in a row, new spots seemed discouraged to pop up. As much as I love my new found face toner I’m not convinced out the DIY mixture. Any beauty product made with water is always tricky without a preservative. Even if you use filtered or distilled water. I didn’t feel confident leaving the mixed toner like that in my bathroom cabinet. At first I stored it in the fridge, but even this didn’t feel right for me. That’s why I created my own beauty hack. I store the pure apple cider vinegar in a spraying bottle in a cool and dry place in my bathroom. 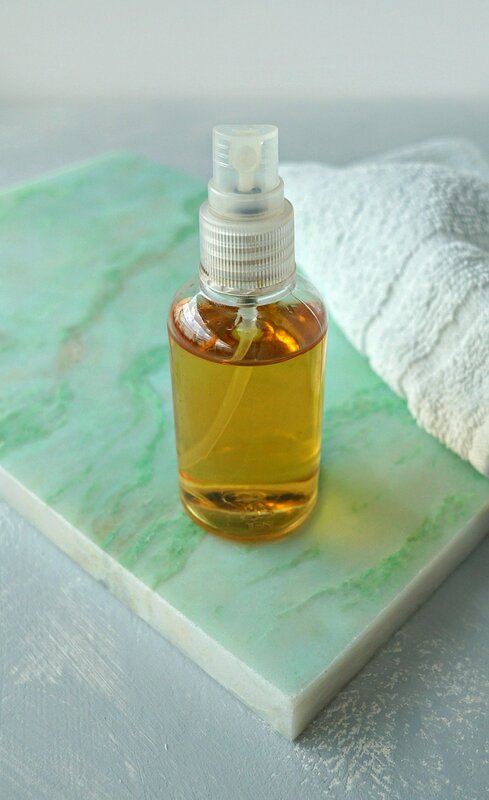 When I’m ready to use it, I spray a cotton pad between 1 to 3 times with the ACV. Next I hold the cotton pad under the running tap until it’s soaked. If necessary I rinse the excess water out by using my finger tips. I’ve found this trick dilutes the ACV enough to use on your skin and leaves you with enough ACV to work its magic. The strong sour scent of ACV is what has always put me off from using it. Believers say you just have to “get over it”. But I’ve found that a little bit more challenging than they make it seem. Because your nose is attached to your face, you can’t really escape the smell. That’s why I only use this toner during my evening routine. After a few minutes you don’t smell it as much anymore. I’m not sure if it actually evaporates or you just get used to smelling it. After a while you do get used to its distinct odor. Now I try to focus more on the ‘apple’ part than the ‘vinegar’ part. I just picture a warm apple pie when I’m applying it … maybe one day that’ll work. 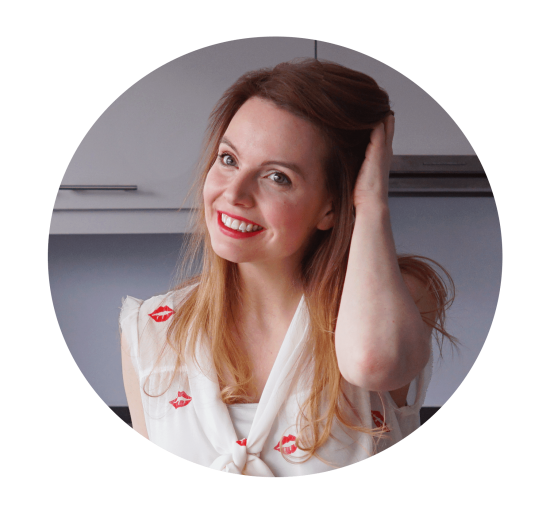 Have you tried ACV as a Beauty Product yet? My husband hates the ACV smell so I tried something else. Instead of using filtered water, I substitute it with Lavender scented witch hazel and it totally covers the ACV smell. It still works as I used to also break out with pimples around my chin area but now I ama be clear free since then. Great tip, thanks May! Maybe just adding a drop of lavender essential oil could work to hide the smell … something I’ll definitely be trying soon!